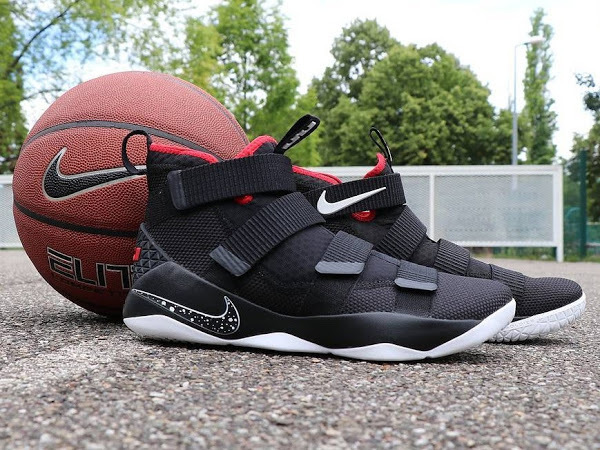 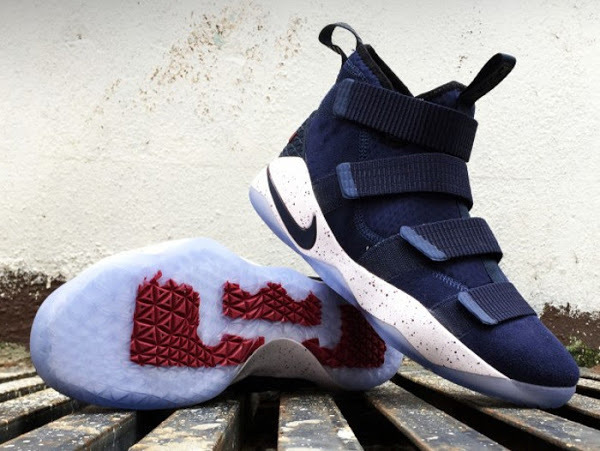 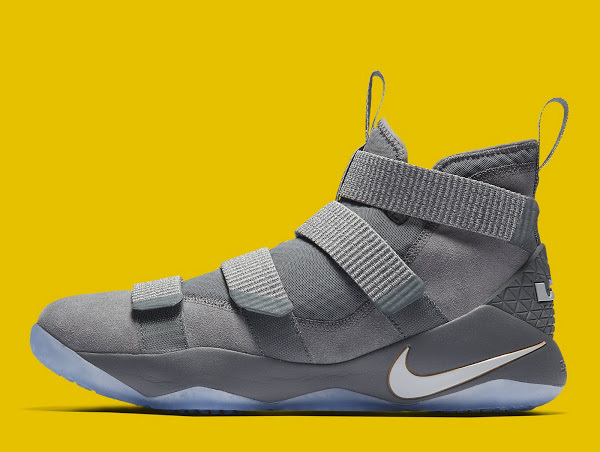 Nike keeps on adding new styles to the Nike Soldier 11 lineup. 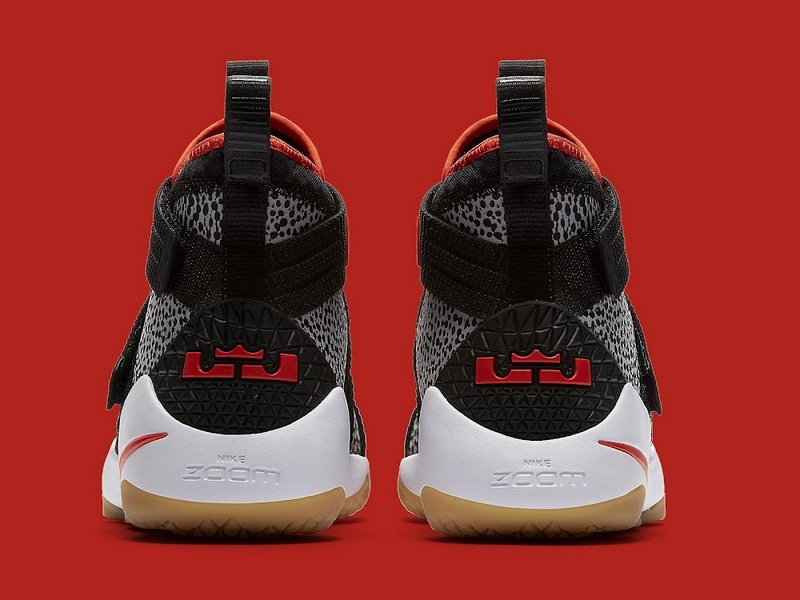 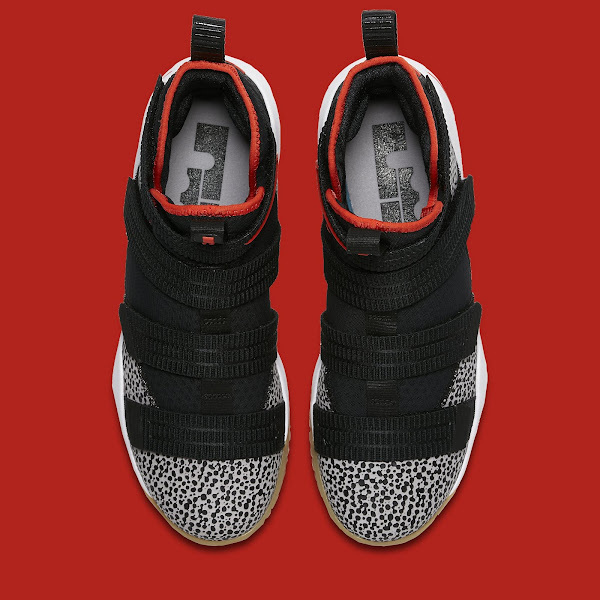 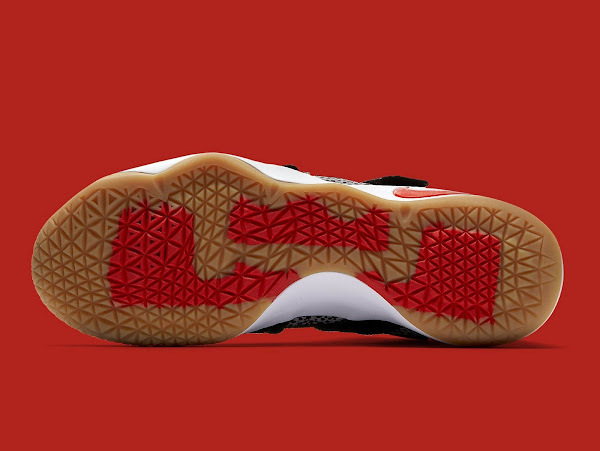 The latest member of the Soldier series is the SFG (Strive For Greatness) version that uses a Safari print mudguard, a White midsole, a Gum outsole, Black straps and Red branding. 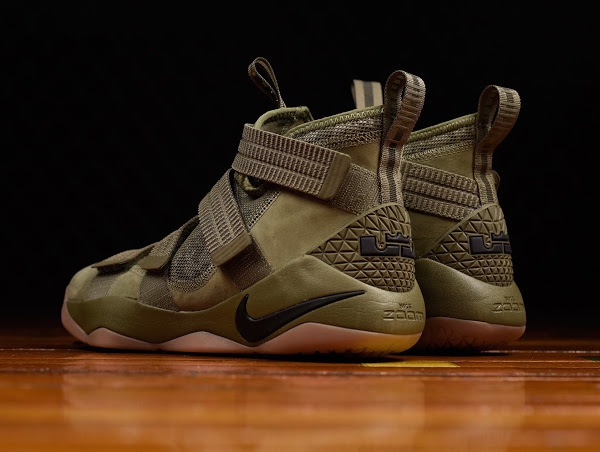 The LeBron Soldier XI packs a heel and forefoot Zoom Air units and a laceless lockdown mechanism, which in this iteration uses a 4-strap system for a secure and customizable fit. What’s difficult to learn through Internet pics is a 3-layer upper that provides lightweight breathability and a stretchy feel for even more comfort. 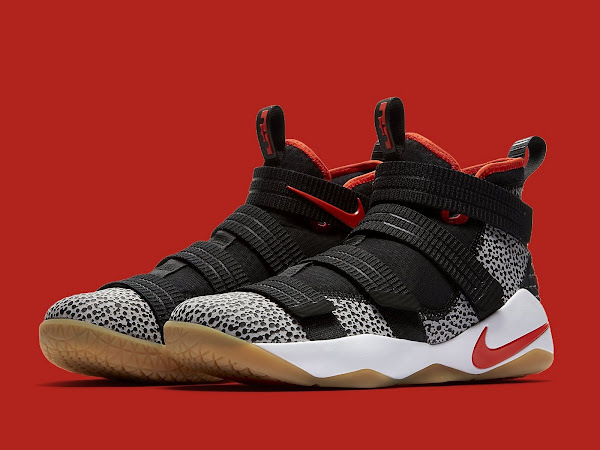 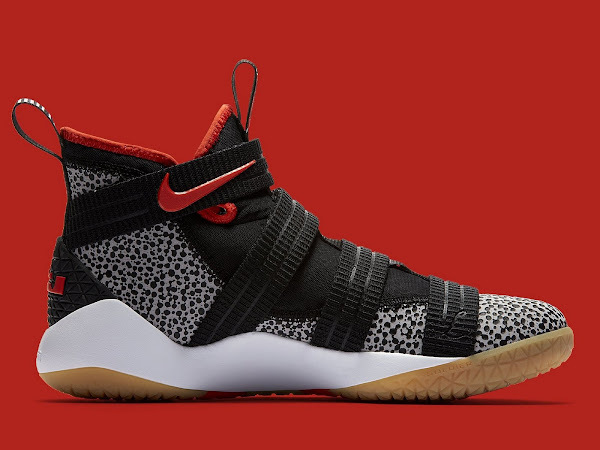 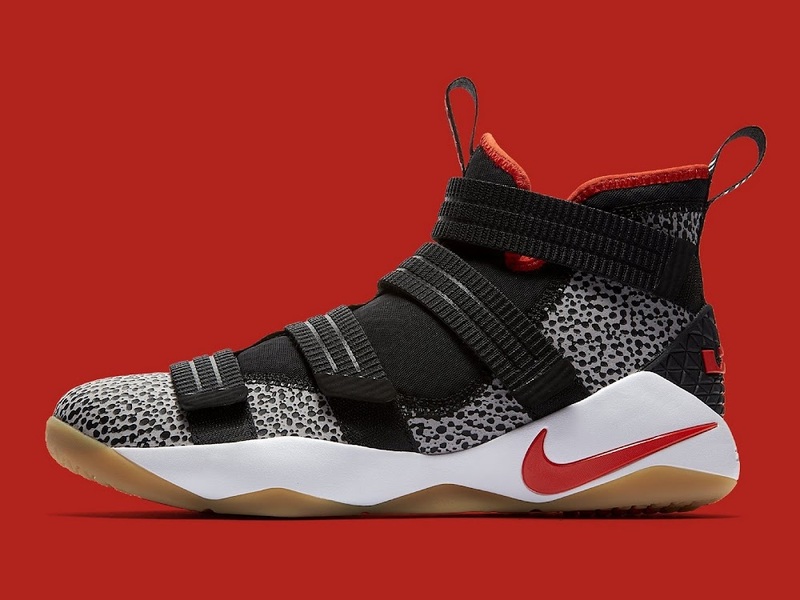 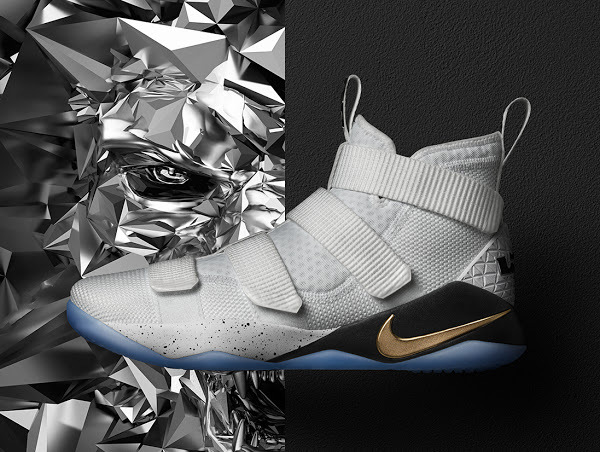 You can order the ‘Safari’ Nike LeBron Soldier XI at nikestore.com for $140.